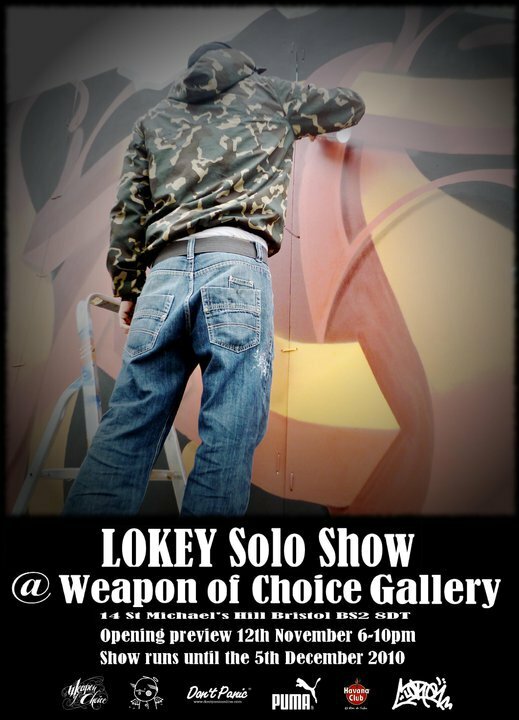 At 6pm on Friday 12th November Weapon of Choice Gallery will be throwing open their doors to the first solo show from the artist ‘Lokey’. Lokey was born and raised in Bristol. His passion for graffiti started in the mid 1980’s following a chance encounter in a local park with some break-dancing kids who had returned from their American holiday armed with hip-hop mix tapes and photographs of graffiti. Lokey is a product of the Kingswood Hip Hop scene that nurtured the likes of Deed, Cheo, Kato and Soker. The youngest of the Veterans of Bristol writers he has been painting the streets for the last twenty years during which time he has been a member of Bad Applez, Dry Breadz, collaborated with many of the big names in graffiti (including Banksy) and is now considered one of the best 3D letter writers around. This show is an exhibition of artworks adapted from Lokey’s black books, his inspiration for his graffiti, and an insight into his imagination. This one’s not to be missed! Show runs until the 5th of December 2010. 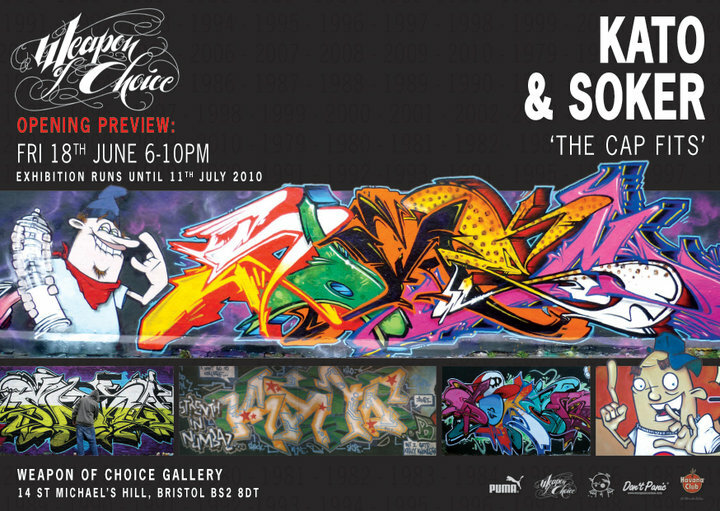 Joint show from 2 of Bristol’s oldest standing graffiti legends. Opening preview. 18th June 6-10pm. Show runs until the 11th July. Expect wild style and dope characters!